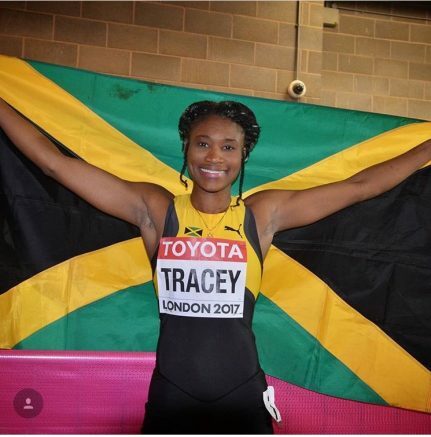 10th August 2017 – After previously making a World Junior final and an Olympic final, Ristananna Tracey (JAM) stepped up and won her first global individual medal at the IAAF World T&F Championships in London. Contesting the 400m hurdles, Rista ran a brilliant race and fought hard down the home straight to gain her reward, and if a bronze medal was not enough she also capped a great night by running a new PB of 53.74 seconds. Earlier in the evening Dina Asher-Smith (GBR) was an automatic qualifier for the women’s 200m final, as were Hellen Obiri (KEN) and Shannon Rowbury (USA) for the women’s 5000m final.